Choose from our powerful comprehensive Branding/Marketing packages and Social Media Marketing Packages. No cookie cutter packages here! Every package can be customized and tailored for your specific need. You can use these as guidelines or simply choose a package that fits your needs and budget. This plan is for the business ready to get the word out and test the waters. Not quite ready to plunge, but definitely ready to bring Brand Awareness to the market audience. ROI. 3 mo. min. $199 Setup fee. 70% min. dep. Ready to make a statement and get Brand Awarenss into the market audience. Serious about your brand items and online presence, ready to hit the market with some powerful Social Media exposure and some short term ROI. ROI. 3 mo. min. $199 Setup fee. No doubt, this BLAST package is for the business or organization serious about making a larger, more impacting statement of their Brand Awareness, not just in print, promo and local, but their online presence, maximizing the powerful Social Media aspects, and longer term ROI. (0) WordPress training is included up to 50 Miles. Or an online screen share w/conference call also available. 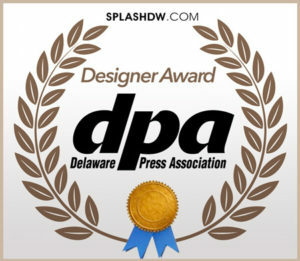 (1) Website hosting, domain, WP theme, some plugins, 3rd party elements, and additional fees are separate from Splash Designworks LLC and may be necessary to complete project. (2) Radio ad airtime fees are separate and can purchased through Splash Designworks or by client to end Media Broadcast station. MP3 file provided. (3) Video production travel is up to 50 miles from 19963 and for up to 2 hours of footage. Production does not include actors, rented or 3rd party purchases. Does in include additional purchased stock video, images or sound if required. If included in chosen Social Media Package, we will distribute to YouTube channel, and selected Social Media platforms for maximum exposure. (4) Social Media revamp or cleanup – We will audit and go through chosen Social Media profiles to ensure maximum effectiveness. We will also create and produce if necessary and desired, a new Profile image. Value is at $150 per Social Media Profile/Platform. (5) Social Media Management. SM Packs pricing apply, or is included with Branding & Marketing Pack. Our Basic SM package is ideal for start-ups, entreprenuers and businesses that have a limited budget but want to take advantage of social media to promote their brand, product and services at affordable prices. (To see maximum ROI, 6-9 months minimum for maximum ROI is highly recommended. Our Plus SM package is ideal for small businesses, startups and medium size businesses that want to build up their brand presence on social media while utilizing thepower of social media engagment to see higher ROI in a short-long term. Our Pro SM package is for very high ROI for any business that's serious about Social Media impact, brand awareness & exposure. Our Preimum SM package is your complete comprehensive option for epic ROI and includes Social Monitoring & Filtering, Social Media impact, brand awareness & exposure. Social Media Advertising – Social Advertising is an essential element to any successful social media campaign. In today’s marketing landscape, it’s pretty much a no-brainer. Social Media Advertising works – if done right. It used to be advertising was a huge costs with very little results. But the fact is that your audience is mostly online and involved with social media engagement – so we must go where the customers are at, which is why SM advertising really works! In fact, the ROI on SM Ads are through the roof! Through highly targeted Facebook ads and landing pages we can get people to your website with clear, trackable results. Pricing depends and varies greatly depending on which platforms used, if there are single sales or campaigns, landing pages, etc.  (Actually ad run costs are separate from Splash Designworks) We recommend between $250-$1250 for SM advertising. Single (Individual) Blogs / Articles – Now offering SEO rich blogging services. Your blogs and articles are enhanced with appropriate images and content and we’ll even post them to your website and/or connected social media sites we manage. Blogs word amount ranges from 500-1000 depending on the topic, style, etc. Topics are either provided by client or researched and selected by Splash Designworks based on your keywords and targeted demographics. Each individual blog is $199. For only $350 a month, Splash Designworks will write 2 SEO content rich blog articles based on the topics, keywords, and demographic research you provide, goals and target market. You can also provide your own research target for us or even topic! Included in this package is posting to your website and all social media channels we manage. For $500 a month, Splash Designworks will write 4 SEO content rich blog articles based on the topics, keywords, and demographic research you provide, goals and target market. You can also provide your own research target for us or even topic! Included in this package is posting to your website and all social media channels we manage. Email Marketing – Connecting with your mailing list is an important part of every businesses marketing plans. The epic ROI return rates on Email marketing have not fizzled. Average U.S. open rate is 10-20% and click through rates are at about 1-2%. Prices vary depending on amount of email campaigns, reach amount and analysis. Contact us for more details. Customer Interaction Services – As an additional service, we now offer the incredible service of actual interaction with your customer when you can’t. No more waiting until the end of the day for response times. Think of this very powerful experience as an on-call Social Media Customer Service Representative for your business. This incredible service starts at $399 per month. Okay, what am I waiting for? Ready to sign-up!